Pulsed Electro Magnetic Field (PEMF) devices for home use have been on the market for nearly two decades. Swiss Bionics®, the only company in the world with it´s own in-house research, engineering, development, and manufacturing divisions, is the world leader in PEMF systems for home use. Our legendary MRS 2000 + series of products have been on the market for over 15 years, With an estimated 400.000 daily users worldwide in 21 countries. Our brand new iMRS-Series is the culmination of more than 15 years of experience in energy medicine and more than 3.5 billion in home applications worldwide. With the innovation of the iMRS people have the opportunity to access a wide range of additional options for the first time in history (iSLRS with two additional components of the light spectrum, iGUIDE with a virtual catalogue of preset programming and iMORE technology). The iMRS Whole Body Applicator uses 3 pairs of coils to deliver the electro- magnetic pulsations (PEMF) to the entire body simultaneously. It automatically incorporates variances in the circadian rhythms of the human body with 4 different programs depending on the time of day the iMRS is used (Chinese Organ Clock). The whole body applicator is used to enhance circulatory effects and oxygen delivery, for improving energy, stamina and sleep, and for overall wellness. The whole body applicator generates a sawtooth electromagnetic waveform. The Pad Applicator uses 1 pair of coils with an equal number of copper windings in each coil to generate two symmetrical electromagnetic field contours. It is commonly used to release tension in headaches and in the neck, shoulders, and lower back, to reduce muscle soreness after strenuous exercise or injury, and to support the lungs, pancreas, kidneys, liver, digestive tract and lower abdominal organs. The pad can be used to assist in the relief of pain and discomfort in tendinitis, arthritis, plantar fascitis, bursitis & myofascitis. The Probe Applicator is able to convert electrical impulses to the highest average peak intensity delivered by the iMRS - 300 microTesla. The Whole Body Applicator and the Pad Applicator have a maximum average output of 45 microTesla. The probe is useful in concentrating a more intense square wave to smaller areas of the body, for example, the joints of the hand and feet, the sinuses, and the jaw joint). iSLRS Our fast-paced lives are becoming ever more demanding and complicated. For many it is only a matter of time before the signs of fatigue, pressure and stress begin to take their toll. Prescription and illicit drug use for depression, anxiety and insomnia are at an all-time high. At MediConsult we have an innovative and powerful alternative: the iSLRS. 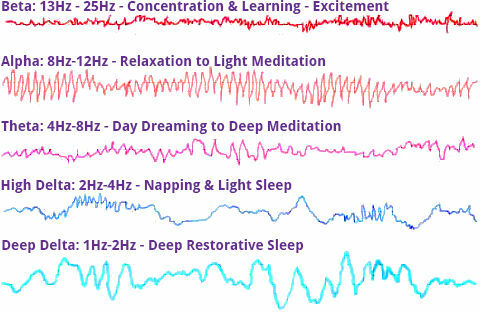 The iSLRS, an integrated Sound & Light Relaxation System, can best be described as a “spa for your brain”. It works seamlessly with your iMRS to melt away stress, improve oxygen circulation to your brain, deepen your ability to enjoy relaxation, restorative sleep and to naturally improve emotional balance without drugs or side effects. Used regularly independently or in conjunction with the iMRS Whole Body Mat Applicator, the iSLRS is the perfect antidote for a modern culture that incessantly bombards us with more and more, faster and faster. While every cell of your body enjoys the oasis of rejuvenation provided by the iMRS, the iSLRS simultaneously bathes your brain with the rest and renewal it needs to return to balance and Equilibrium, Mental focus, clarity and productivity improve. Irritability gives way to a sense of well-being. The iSLRS is plug-and-play. Simply connect the LED-goggles, headphones and SD card and begin your iMRS session as you normally would. In addition the built-in Music Player in the iMRS provides you with specially designed and anticipated wellness music, which vibrates within the natural frequency range of the brain. Masterful German engineering makes it just that easy to achieve the balance and renewal you need to thrive with optimal health. The iSLRS comes with the following features: LED-Goggles with Binaural headphones Customized SD card for Specially designed specialized multi colour with adjustable volume integration with your 4-program brain wave strobes (red, blue, green) control iMRS entrainment technology. iMORE (interactive MOnitoring and REgulation) technology is a technological advance that enables the iMRS to "listen" to your body during your daily sessions on the iMRS. By monitoring your heart rate variability iMORE adjusts iMRS signals to dynamically support optimal balance of your body's regulatory systems. Over time, the iMORE technology (in combination with the iMRS applications) is able to train and improve your personal HRV by balancinghomeostatis. The Autonomic Nervous System (ANS) is the division of the nervous system that regulates the heart, the digestive system, and the glands (endocrine system). The ANS has two divisions: the sympathetic division, responsible for survival (e.g. "fight, flight and fright"); and the parasympathetic division, responsible for healing and regeneration (e.g. the "rest and digest" system). 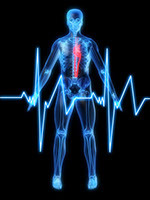 It is well known that the autonomic response is the first human response to any physical or psychological stimulus, including disease and injury. Furthermore autonomic dysfunction, as measured by impaired HRV response, represents a compromised ability for the body to recover. Improving HRV over time means your body's cells and regulatory systems are progressively towards maximum strength and vitality. In short, your body's ability to repair is improved. And that is what true health and wellness is all about! To use the iGUIDE you simply scan through the list of conditions that are loaded into the SD card that you would have already installed in the back of the iMRS control panel. You will view these in the LCD window on the front of the machine. Once you find the one you want, simply select it and then an application protocol, such as the one in the panel below will appear. In this sample protocol you are told in what order, for how long and at what intensity you use each of the applicators. Notice this varies somewhat according to the time of day you are using the iMRS unit. What is not given is where you put the applicators. The general rule of thumb is always go from the general to the more specific. That is why you start with the Whole Body Applicator and then progress to the Pillow Applicator and finally the Probe Applicator. The latter 2 applicators are used on the area where you are experiencing the difficulty. Hopefully, this will help you understand what a tremendous advantage you have with the new iGUIDE system, as opposed to carrying around a separate manual in to give you the same information. Less bulk, less weight and zero chance of forgetting or losing the SD card. ​ A database of 250 different preprogrammed conditions for all organ clock settings and all applicators. This takes the guesswork out of using the iMRS because you have research proven setting for 250 different health issues. Compared to human beings animals are not aware of the so-called placebo effect. This is due to the fact that they act instinctively without prejudice. Electromagnetic energy is the essential, elementary force through which all species evolved since the beginning of our planet earth. The magnetic field of the earth is being utilized by many animals i.e. for navigation. There are numerous faunal species, which are equipped with sensitive organ systems to detect even the weakest electromagnetic fields. They are using this ability for orientation and hunting. Unfortunately even our animals today are suffering from the ever-increasing negative changes within our entire environment and are developing adaptation problems. The rise of toxic substances affecting the tidal air, the food quality and the high exposure to man-made frequencies (electro-smog) are creating tremendously negative influences on the organ systems. Wi-Fi, GSM, Microwaves, GPS etcetera are overriding the natural and pure information content of the earth's magnetic field. Animals become disoriented and start suffering from a variety of unspecific disorders and character changes, which finally leads to all kinds of disease patterns. With the help of a specific, pulsed electromagnetic field (PEMF), within the intensity and frequency range of the earth magnetic field, one is able to effectively & gently correct these imbalances. Intelligent Magnetic Resonance Stimulation (iMRS) has been professionally used in the veterinary field for decades as a supporting and accompanying modality with a wide range of health conditions. An additional growing application spectrum is the usage for race and show horses as well as with livestock in the agricultural area.